Sandollar Beach State Park Campground - Sleept out under the stars! 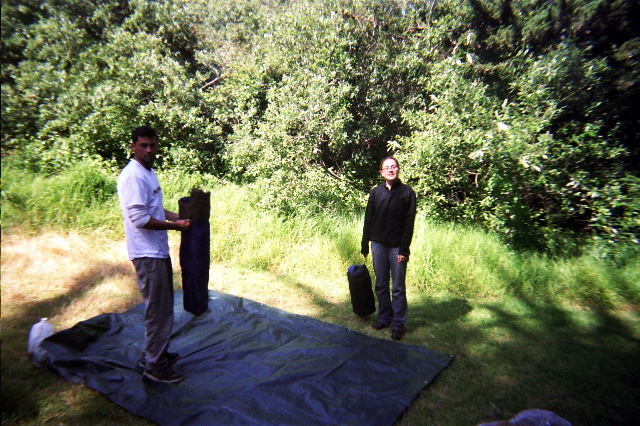 Packing up after one night in the Sur. Really, really pretty place to stay. Beautiful sunset and some pretty pesky racoons that attcked our food at like 3am.